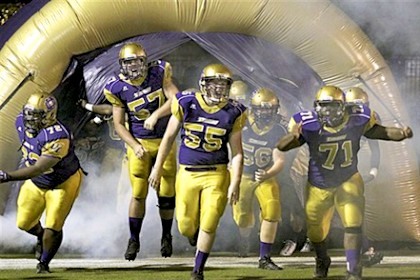 Leaders Credit Union was one of the few organizations we’ve seen that – unsolicited – offered to finance the creation of an inflatable football tunnel for the Union City Tornadoes as a gesture of goodwill. This gesture of community support will no doubt have a lasting impact on the school and the town for years to come. Looking for an inflatable sports tunnel? We've got plenty of custom tunnel examples in our online gallery!